For some years I have been drawn towards the Global Ecovillage Network (GEN) and around 3 years ago started talking to them about exchange and the benefits of not using money. This was never going to be a quick win for me or the movement and I have been employing all my relationship-building skills, my deep listening, my nomadic powers, my Drupal expertise, and my patience in order to serve them. I was honoured to be invited to Skala ecovillage in Greece. Anna and Nikiforos are 3 years into their fourth attempt to build a community on their property near Thessaloniki on which currently abide 7 adults plus 3 volunteers and some children. I'm still not sure what they thought I would bring, but their main concern is to take the project from merely living together to building a future together. Nikiforos is a highly skilled engineer running a family business 50km away putting all his income into Skala. A long time ago, when Stewart was an estate agent, interest rates jumped from 5% to 15% in a day (Thanks to George Soros) and three of his clients committed suicide. Stewart decided to design a new, less money-centric life, and started New Morray LETS in Forres, near Findhorn, Scotland twenty years ago. His energy and commitment helped the LETS to grow steadily and now he reckons 60% of his economic life is through LETS. The wonderful Robin Hood Collective is gathering for 4 days in London and I so regret being unable to attend that I'm writing this post for all the assembled! I'd like to introduce myself and share what I'm doing and what I would like to see Robin Hood doing. Has science proven the supernatural? While anecdotal evidence abounds for strange coincidences mind to mind communications, and the supposed laws of physics being broken in ways we find meaningful, it has been very hard to capture these events in a laboratory in a way that the rump of the scientific body finds acceptable. The first 'Transition Pounds' in the UK, Totnes, Brixton, Stroud, Lewes, and then Bristol lacked proper theoretical foundations, and achieved very limited circulation. Even today, on its fourth issue, the Totnes pound is extremely sluggish. Even with discounts, pound-backed (proxy-pound) models in which national money is captured for the local economy lack incentives for those local pounds to circulate. The Troubles of Northern Ireland were to a large extent kept out of the press at the time, being mentioned only when prominent people or the mainland were attacked. 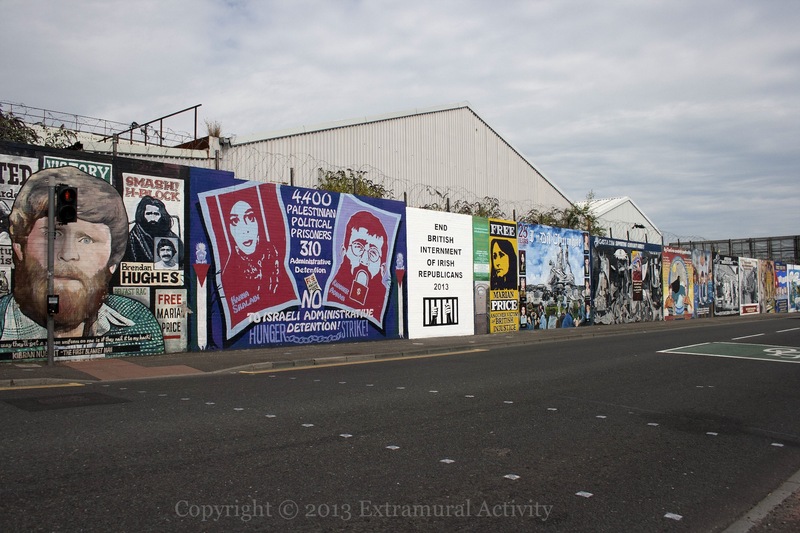 Judging by the lack of coverage in the media, we might still be forgiven for thinking that the troubles are over, In many ways the Troubles are over.